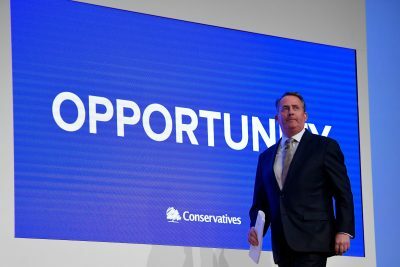 As the United Kingdom proceeds to leave the European Union, the Conservative Party government is busy promoting an international identity for itself under the banner of ‘Global Britain’. It is enunciating an ‘All of Asia’ policy — ostensibly to signal that London is keen to engage all countries in the wider East Asia region, big and small.� Emboldened by the belief that it already has strong bilateral relations with many Southeast Asian countries, London envisions a future in which the United Kingdom makes a meaningful� contribution� to regional security, prosperity and development. The problem is that Southeast Asia does not yet seem to care much. The UK government has several objectives in Southeast Asia. For starters, the United Kingdom needs to� strengthen� its trade relationships in Southeast Asia to help offset the challenges it may face in its future� economic and trade relationship� with Europe. It also wants to be taken seriously as a status quo power that is prepared to defend the rules-based� international order. Further objectives flow naturally from the United Kingdom’s exit from the European Union, such as establishing a formal relationship with ASEAN. The debate within Southeast Asia on London’s role in the region is still in the early stages. Southeast Asian signatories to the Comprehensive and Progressive Agreement for Trans-Pacific Partnership have not articulated a collective position on the United Kingdom’s possible membership. Meanwhile ASEAN has not clarified what position, if any, members hold regarding the possibility of dialogue partnership status. And while Western analysts offer both� critical� and� supportive� arguments in relation to the United Kingdom’s possible return to Southeast Asia as a military power, the region has yet to embark on a discussion of whether such a return to ‘East of Suez’ would be welcome. Some Southeast Asian governments seem set to welcome a stronger UK commitment to the region. Singapore is looking forward to signing a� trade deal� with the United Kingdom once it leaves the European Union, after signing a UK–Singapore� Defence Cooperation Memorandum of Understanding� in June 2018. Other ASEAN countries still look at their relations with the United Kingdom through the prism of the European Union. The United Kingdom is an important market for� ASEAN imports within the EU-28, ranking third for goods and second for services. But UK market share in� ASEAN-4� (Singapore, Malaysia, Thailand and Vietnam) is only around 1 per cent, and there is little expectation that this will change soon. London’s willingness to re-engage militarily in Southeast Asia, and the maintenance of a near-permanent� naval presence� in the Asia Pacific in 2018 with the deployment of� HMS Sutherland,� HMS Albion� and� HMS Argyll, have been duly noted. But this greater military commitment follows a period of relative absence from the region, notwithstanding the United Kingdom’s role in the� Five Power Defence Arrangements� (FPDA). ASEAN government officials seem unsure as to why London is considering a return as a military power and what it would hope to achieve, while also pondering whether the United Kingdom’s newly demonstrated interest in a continuous naval presence is sustainable. Developing a formal dialogue partnership between ASEAN and the United Kingdom is also not straightforward. ASEAN states would need to be� persuaded� that it is in their best interest to allow the United Kingdom to submit an application despite a moratorium in place, and to bypass other applicants at some political and reputational cost. ASEAN members would also need to agree by consensus on the United Kingdom becoming a dialogue partner, which is an outcome that cannot be taken for granted. The United Kingdom should consider whether its relations with ASEAN countries have adequate coherence. Espousing an ‘All of Asia’ policy suggests that Southeast Asian states will be taken seriously. But it remains only a label of inclusivity rather than shorthand for meaningful substance. At the moment, the United Kingdom seems to have different priorities for individual states in the region. These may reflect UK values and interests, but it is not clear that there is an overarching narrative under which specific policies towards individual ASEAN states are convincingly subsumed. While London has gone to some lengths to strengthen trade relations and engage the UK private sector in its interests in Southeast Asia, it may want to extend greater support to regional embassies and high commissions to identify opportunities of interest with their Southeast Asian counterparts. Bilateral joint trade commissions would help to communicate London’s trade policy with greater clarity, while facilitating dialogue on future trade arrangements and identifying areas of investment that are of interest to ASEAN governments. Such moves would be welcomed by governments in the region and complement the June 2018 appointment of the� UK Trade Commissioner for Asia Pacific. The United Kingdom also needs to clarify its thinking about London’s possible contribution to regional order vis-a-vis regional counterparts. This necessitates greater investment in dedicated diplomacy. In parallel, a sustained and consistent military presence to support dialogue efforts should extend to the bilateral level and not be limited to the FPDA. A relatively easy step to consider is the facilitation of military exchange programs. The United Kingdom has the potential to establish itself as a relevant power in Southeast Asia, but maintaining momentum in the ongoing re-engagement with the region seems crucial, including additional efforts to clarify intentions and to build trust. Achieving this goal is also partially dependent on the United Kingdom continuing to define the contours and substance of a coherent and persuasive foreign policy that speaks to the interests of Southeast Asia.